Bear Guerra has been traveling and working alongside anthropologist, writer and dear friend Michael Cepek in Cofán indigenous communities in the Ecuadorean Amazon. 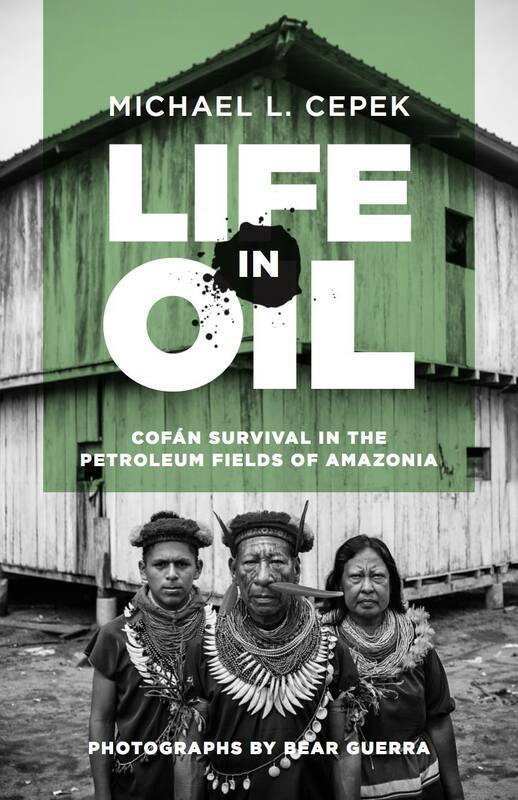 His beautiful portrait of Roberto, Alejandro and Lucia Criollo graces the cover (plus more than 40 of his documentary images are inside) in Michael's new book, "Life in Oil," which tells the history and consequences of the oil industry from a Cofán perspective. "The more than 500 Cofán people who live in Dureno don’t fit most Western stereotypes of how native Amazonians are supposed to look or act. They don’t wear loincloths or paint their bodies. They don’t lounge around in hammocks and play wooden flutes all day... To most outsiders, the Cofán don’t look indigenous — they look poor and defeated."